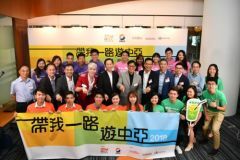 HONG KONG, Jul, 12 2018 - (ACN Newswire) - The Hong Kong Trade Development Council (HKTDC) and the Belt and Road Pioneer are jointly organising a "Belt and Road Journey" youth exchange programme to raise interest and awareness among Hong Kong's young people in opportunities from the Belt and Road Initiative. The programme will invite 20 Hong Kong young people aged between 18 and 25 on a trip to China's Xinjiang Uygur Autonomous Region and Kazakhstan in Central Asia in late July. The trip will feature visits to local businesses and cultural exchange activities, allowing participants to gain first-hand knowledge of the economic and cultural landscape of different Belt and Road regions. The journey will be filmed and broadcast as a special TV series on ViuTV this September, as part of the HKTDC's ongoing efforts to promote the Belt and Road Initiative through the media and social media channels. 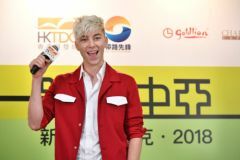 Artem Ansheles, a popular Russian personality and Cantonese-speaking TV host of Russian origin, will also join the young people and explore Central Asia with the participants. Raymond Yip, Deputy Executive Director of the HKTDC, said: "It is our pleasure to jointly organise the 'Belt and Road Journey' youth exchange programme with Belt and Road Pioneer as one of our flagship Belt and Road promotion events for young people this Summer. The HKTDC has been committed to promoting Belt and Road opportunities and young people's involvement in the Initiative. Through direct interaction with local youths and visits to companies in Xinjiang and Kazakhstan, we hope the trip will help young people gain a deeper understanding of the Initiative and raise their awareness of the Chinese mainland's latest development." Bernard Chan, Honorary Chairman, Belt and Road Pioneer, said: "Central Asia is different from Hong Kong in many areas like economy, language and lifestyle. The youth exchange programme allows young people to learn about different cultures and deepen their understanding of the development potential of Belt and Road countries. This will help them seize the opportunities ahead of them." Jason Chiu, Convenor of the SME & Younger Generation Working Group and CEO of Cherrypicks, said the Working Group is collaborating with AIESEC, an international non-profit organisation, to launch the first "Belt and Road | Connect" Student Internship Programme. "Apart from this youth exchange programme to Central Asia, we will invite students from Belt and Road countries including Thailand, Vietnam, Indonesia and Egypt to participate in an internship programme in Hong Kong. We hope to strengthen the ties and exchanges between young people in Hong Kong and cities across the world for them to better equip themselves." 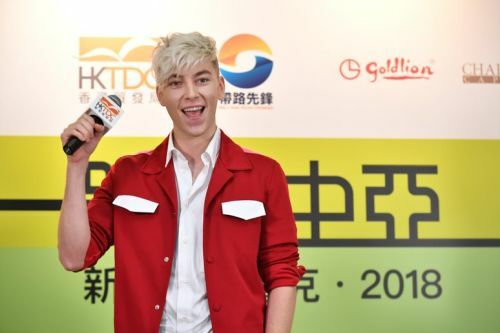 Ansheles Artem, a popular Hong Kong social media personality and Cantonese-speaking TV host of Russian origin, met the 20 participants for the first time at the press conference. "Like most young people in Hong Kong, I'm not familiar with many of these foreign countries. I look forward to visiting Kazakhstan and Urumqi and meeting people of different cultures and backgrounds. The youth exchange programme will definitely broaden our international perspectives and bring inspiration to our future development." Established in 1966, the Hong Kong Trade Development Council (HKTDC) is a statutory body dedicated to creating opportunities for Hong Kong's businesses. With more than 50 offices globally, including 13 on the Chinese mainland, the HKTDC promotes Hong Kong as a platform for doing business with China, Asia and the world. With more than 50 years of experience, the HKTDC organises international exhibitions, conferences and business missions to provide companies, particularly SMEs, with business opportunities on the mainland and in international markets, while providing information via trade publications, research reports and digital channels including the media room. For more information, please visit: www.hktdc.com/aboutus. Follow us on Google+, Twitter @hktdc, LinkedIn. 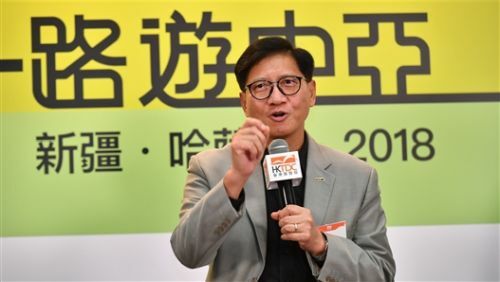 The HKTDC announced the formation of the HKTDC Belt and Road Committee in December last year. Through its five working groups targeting different markets and business sectors, the Committee implements a comprehensive and targeted programme to engage different sectors and the public to participate in Belt and Road development and share in the benefits presented by the Initiative. In particular, the SMEs & Younger Generation Working Group seeks to promote and foster participation of young professionals in the Initiative, as well as to help start-ups and small and medium-sized enterprises (SMEs) expand their business into Belt and Road markets. Belt and Road Pioneer is the organising committee of "My Interfaces with the Belt and Road Initiative", a Hong Kong inter-school competition aimed to raise secondary and tertiary students' awareness of the Belt and Road Initiative, and to encourage them to equip themselves to capture the opportunities arising from the Initiative. Artem Ansheles hopes that young people could stay open-minded and grasp the opportunity to observe and learn in the exchange programme. Artem Ansheles will travel with 20 Hong Kong young people to China's Xinjiang Uygur Autonomous Region and Kazakhstan in Central Asia.